as part of the Year 3 Topic. Rainforests, the children had visit from Zoolab. They bought in a variety of creatures for the pupils to learn about, and in some cases, handle. 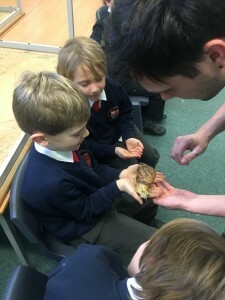 They had a corn snake, an African land snail, giant millipede, cockroaches and even a tarantula!